Streamlined license management tool for Mac apps. Is there a better alternative to AppChest? Is AppChest really the best app in File Management category? Will AppChest work good on macOS 10.13.4? 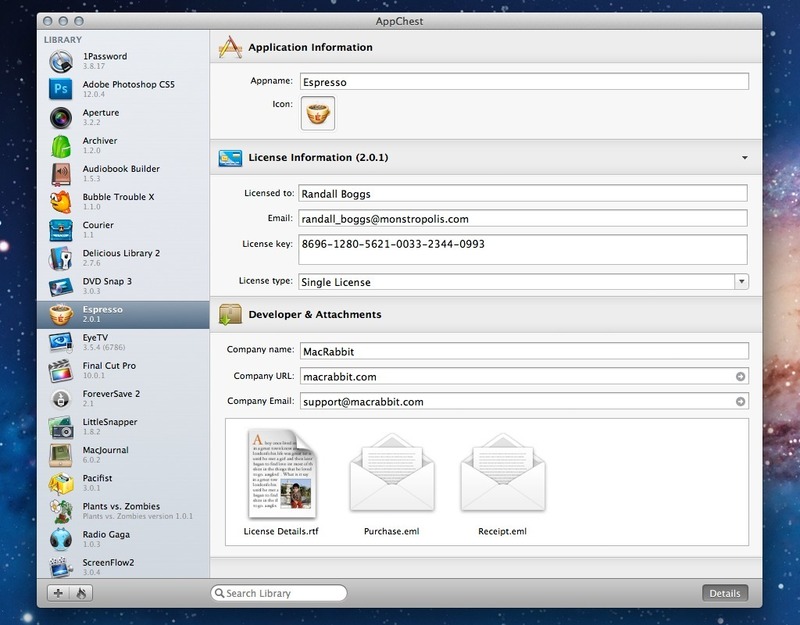 AppChest is a smart, new, elegant way of storing your application licenses. Just drag your purchased apps to AppChest's library and enter their license keys. No matter if it's an email, PDF, or text file containing the license, all attachments are automatically searched for useful information and autofilled if possible. Your privacy and protection of the license keys is very important for us. That's why AppChest is encrypting both the license data and the attachments with the latest encryption algorithm, AES-256. AppChest is now available on the Mac App Store!